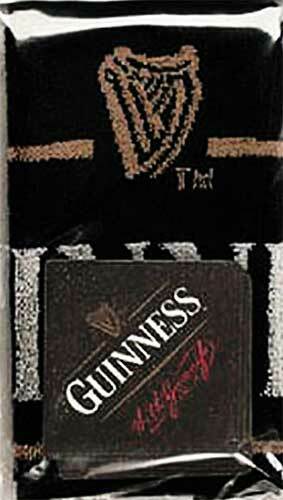 Guinness bar towel and coaster set will accent any Irish pub. This Guinness set includes a bar towel along with 10 pub style coasters that feature the classic branding of your favorite stout. This Irish bar accessory is just one of the many Guinness gifts that are available at The Irish Gift House. Guinness features this set of 20 assorted pub style Irish coasters; they are perfect for any beverage, but best with a pint of Guinness! Guinness bar towel features the Extra Stout label. Guinness salt and pepper shakers are crafted in a classic pint shape.